A new poll commissioned by WCAX-TV shows Republican Lt. Gov. 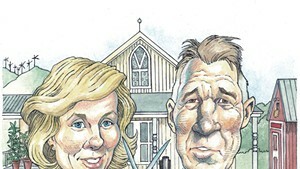 Phil Scott leading Democratic former transportation secretary Sue Minter 47 to 40 percent in Vermont's gubernatorial race. Conducted by Braun Research of Princeton, N.J., the live-caller poll surveyed 603 likely voters, using a mix of landlines and cell phones. Its margin of error was plus or minus 4 percent, meaning the race could be essentially tied — or Scott could have an even wider lead. According to WCAX, 4 percent of respondents supported Liberty Union nominee and retired Red Sox pitcher Bill "Spaceman" Lee, while 2 percent planned to write in another candidate. Seven percent said they remained undecided. That's a significantly smaller percentage than Castleton Polling Institute found in a recent survey it conducted for Vermont Public Radio. In that poll, 14 percent said they were undecided. 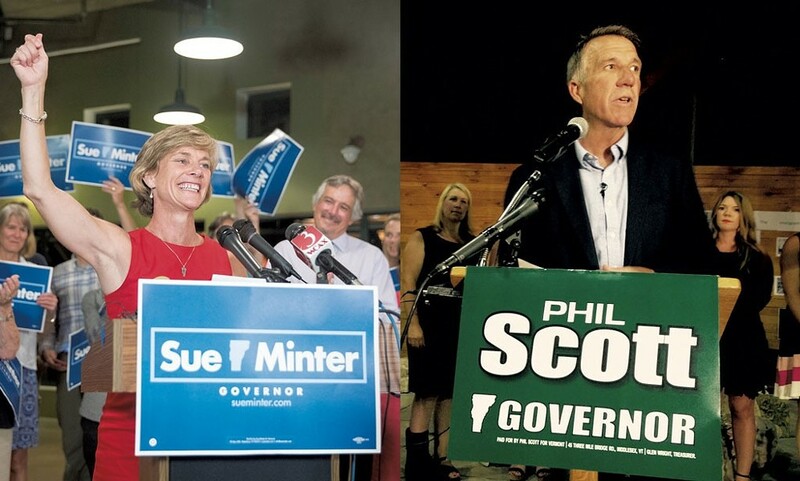 Thirty-nine percent told VPR they supported Scott, 38 percent Minter and 2 percent Lee. That poll's margin of error was 3.9 percent. VPR conducted its poll of 650 Vermonters — also using a mix of landlines and cell phones — from September 29 through October 14. WCAX conducted its survey from October 19 through October 22 — after the station's televised debate last Tuesday. It's not necessarily safe to assume that the differing results in the two polls represent a shift in the race, because the surveys were conducted by different firms and may employ different methodology. WCAX did not provide a breakdown of how the candidates' support varied by age, gender, region or party affiliation. 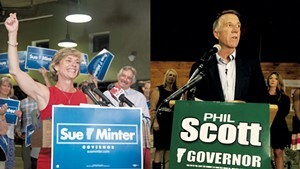 It only said that Scott was viewed favorably by more Vermonters (68.6 percent) than Minter (53 percent). WCAX plans to release more results from its poll later this week, the station said Monday evening. 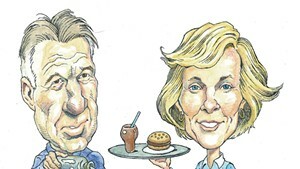 Where Do Gubernatorial Candidates Stand on Food Issues?